Souks in Arabic are markets where goods are bought and sold or exchanged. Traditionally souks sold perishable or physical goods, but today you can find electronic goods as well as paper trading stocks. The gold souk Dubai is now a mecca for those who are looking for gold bargains. It is rumored that the Dubai gold market sells tons of gold and nowhere else in the world is there as much gold on display and with as little apparent security. 1. There are two gold souks Dubai which are titled the Old Gold Souk and the new one. Both are in the same area and have very similar gold products. Buying gold in Dubai souks is based on weight. The final price of your gold piece will depend on your bargaining skills as well as the quality and willingness of the merchant. The gold rate in Dubai is determined two times a day and generally runs parallel to the US gold prices. However, there is no VAT on gold in Dubai which makes gold almost 40 percent less than similar products in the US. 2. It is suggested that you purchase gold during the Dubai Shopping Festival when shops have their highest inventories. Shop different stores. When you find an item you want; bargain. Come back if you do not get the price you want. This is all part of the game purchasing in the gold souk Dubai. 3. Set a budget and be aware that gold is regulated by the government and should be of a set quality. How to choose gold in Dubai Gold Souk can be overwhelming, ask shopkeepers, research prices on the web, and stay away from street vendors that may want to sell you inferior pieces. 4. If you are planning big purchases in the gold souk Dubai, you can use a credit card, but cash either in US dollar or dirhams is preferred. Your bargaining power will be much higher if the merchant knows you will finalize the transaction by using cash. 5. Enjoy yourself and make sure you allow plenty of time to look at all the different types of jewelry, gold coins and bars. Buy from a merchant who makes you feel comfortable and secure. Buying gold is an experience in Dubai and should be relished. 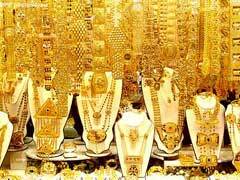 In addition to jewelry pieces, you can busy yourself in buying scrap gold from vendors in the Dubai gold souk. Prices will vary according to the quality and availability, but the market price should reflect the same savings as finished pieces.